Nature is astonishing. There is just so much it can offer, from the most breathtaking scenery to the most vicious predators. Animals are beautiful and wonderful beings, but we often underestimate them. We see them as far more natural than anything else. In addition to their beauty, animals and nature can be scary. Whether at home, at the zoo or in nature, nobody is immune to a good scare by someone below us on the food chain. You never know when you’re going to meet a new friend when in need. 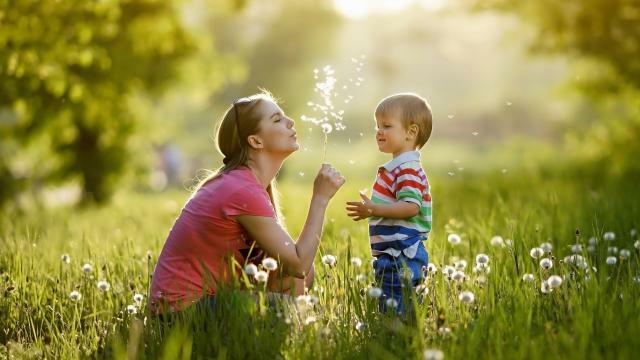 Life has a strange way of giving us support and showing us that we are not alone when we least expect it. There have been numerous cases of discovering who is friend and who is foe, and it might take us by complete surprise. Unfortunately, many people find that the ones we thought of as friends were actually the ones to turn their backs, and a random stranger on the street was willing to give both hands to help us up. Life in nature isn’t that much different. Although unlikely, we’ve seen it a few times, mortal enemies becoming best friends in the face of danger and being joined at the hip from that point in time. It seems that animals too have the same sense of right and wrong and good and bad as we do. Just look at this footage, and you’ll understand what we’re talking about. Photographer Vadim Onishchenko captured this incredibly rare moment while on a photo safari on the Mara River in Kenya. After a crocodile had caught a gnu (a type of antelope) crossing the river, a group of hippos observing the scene quickly made their way over, with one hippo in particular scaring off the crocodile. 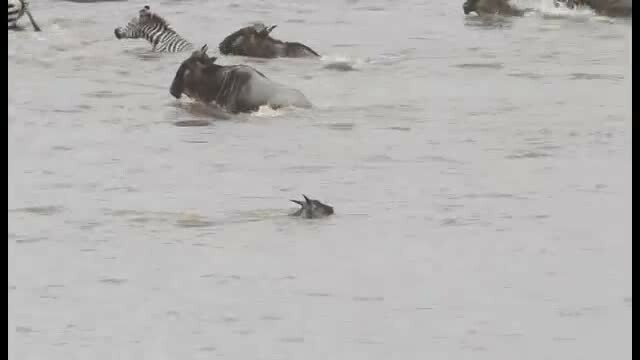 The situation became even more amazing after that same hippo escorted the gnu back to shore! Have you ever seen a hippo enjoying drinking tea ? Watch the video and you will meet Jessica, the only hippo in the world that loves drinking tea and that enjoys the occasional kiss on the nose. This wild animal jumps out of the water onto a platform, ready and waiting for her favorite drink of tea given to her by human admirers. Amazingly enough Jessica only allows woman and children to feed her tea and to give her a kiss. Once she finished four liters of tea, Jessica adorably became very lazy and literally struggled to keep her eyes open. She slowly went back into the water with only her head resting on the platform where she fell asleep for a short while. Once the show was over, Jessica got her energy back and moved down to river on her way back to the wild hippos. What did you think of this video? Have you ever seen something like this before? We would love to hear what you think so please do not hesitate to leave a comment down in the comments section. Please share this video with your family and friends as it is sure to interest them! This is one video that no one should ever miss out on!